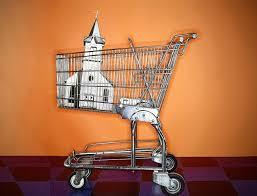 Finding a church home can be as difficult as deciding on the best cereal in the grocery store aisle! Options abound, and it can feel overwhelming, especially if you’re a new college student moving to Chicago to start school. If you’re a college-age person looking to find a church home, here are four reasons I hope you’ll consider The Moody Church. 1. The Moody Church is a trusted name when it comes to gospel-centeredness and solid theology. What a church believes makes all the difference, and here at Moody, you’ll discover our commitment to sound biblical preaching, to the authority of the Scriptures, to the centrality of Jesus Christ for our life and salvation, and to the importance of authentic, biblical community. 2. The Moody Church is a very diverse congregation, reflecting our diverse city. As you worship here, you’ll rub shoulders with people of all ages, ethnicities, and backgrounds. You’ll gather and serve alongside children, singles, couples, families, and elderly saints. You’ll meet rich and poor. You’ll gather with people who look, talk, and experience life a bit differently than you do. It’s beautiful! 3. The Moody Church is blessed to have a vibrant, dynamic college group. Crossroads is committed to connecting students with one another so you can relate to other students going through similar experiences and grow together in Christ. Our group is very diverse as well, so you’ll meet students from campuses from all around the city as we encourage one another’s faith. 4. The Moody Church is committed to connecting students with the larger church family, outside of the college group. Our students are participating and serving at every level of The Moody Church. They are connecting with families and mentors. They’re serving on our worship teams, as ushers and greeters, working with the kids and persons with disabilities, and using their gifts everywhere God would plug them in. So if you’re on the hunt to find a new church home, we hope you’ll join us on a Sunday morning or Thursday night and see if God would settle you here! But regardless, we hope you’ll find a good church, plug in quickly, and discover the rich blessing of a solid church family during the college years.